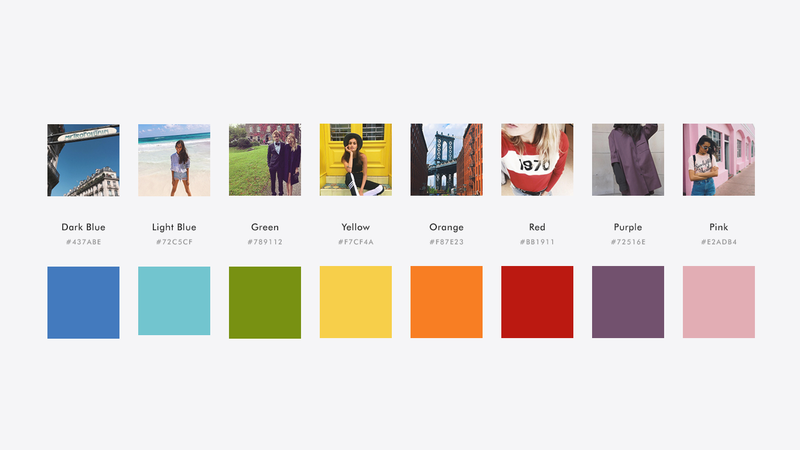 A bespoke film generator that shows what your hair colour and Instagram feed say about you. 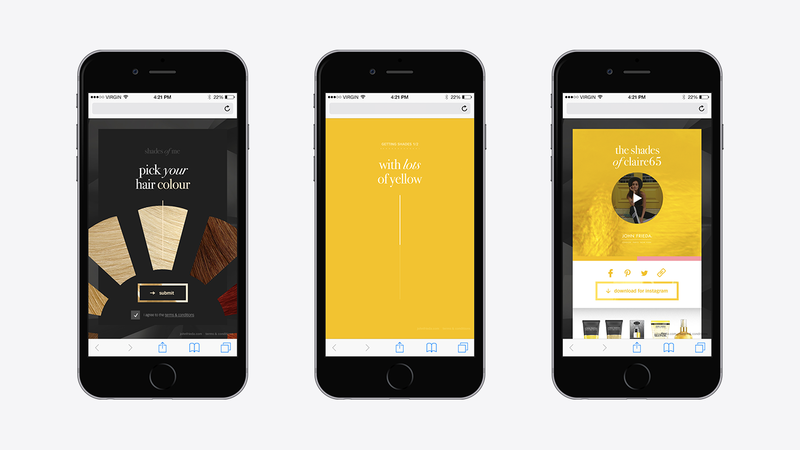 Your Instagram feed is a curated, beautiful visual depiction of your unique style and self expression. Colour is a powerful part of this; from the pictures you take and filters you use, down to the locations you take them in - the colours you gravitate toward are what makes you, you. 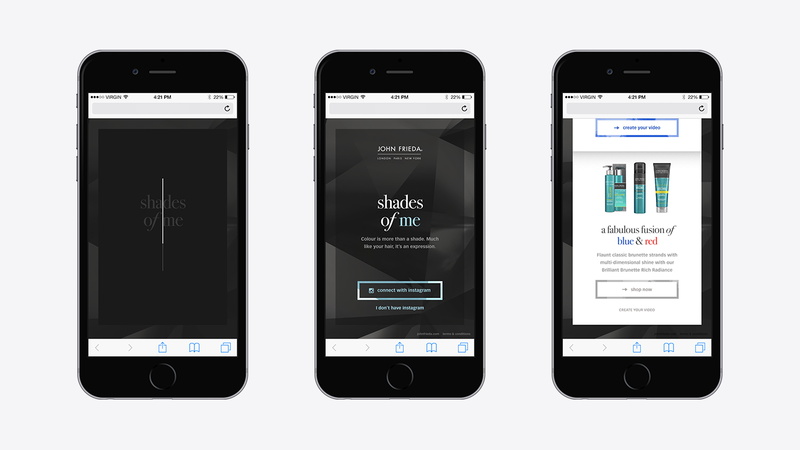 In collaboration with Brave, we created a bespoke colour-based film generator for John Frieda’s Shades of Me campaign, using our real-time rendering platform, RITA. 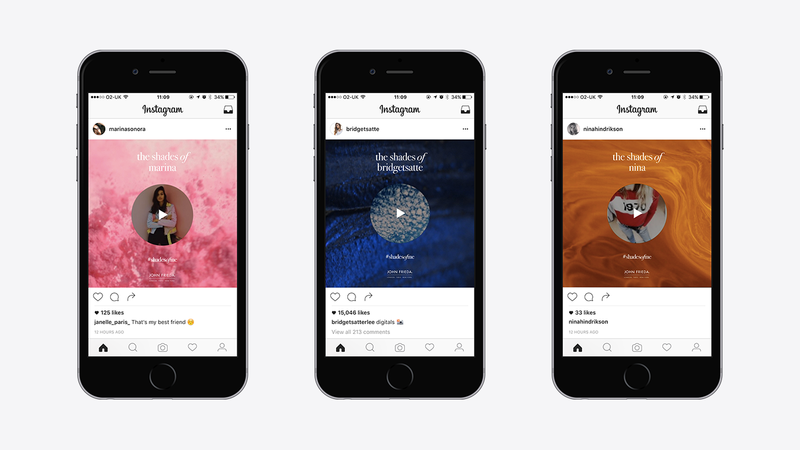 Combining a user’s hair colour with real-time data determining the most prominent shades in their social feed, we were able to create a series of personalised, shareable Instagram-ready films. 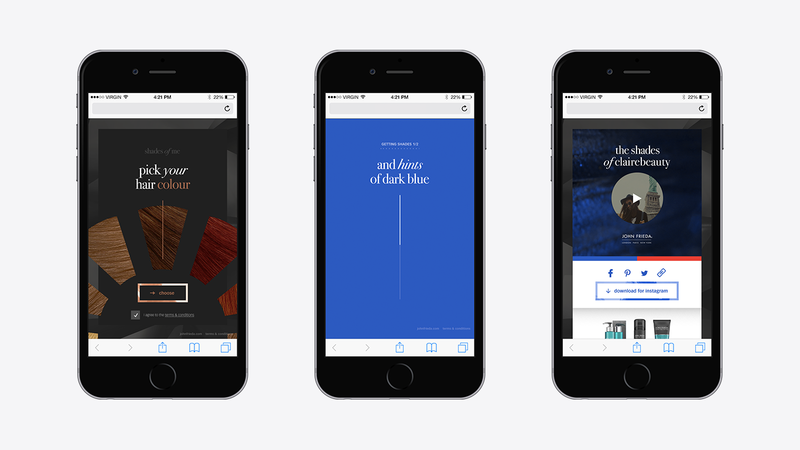 Shades of Me is a mobile-first website with a magical user journey. 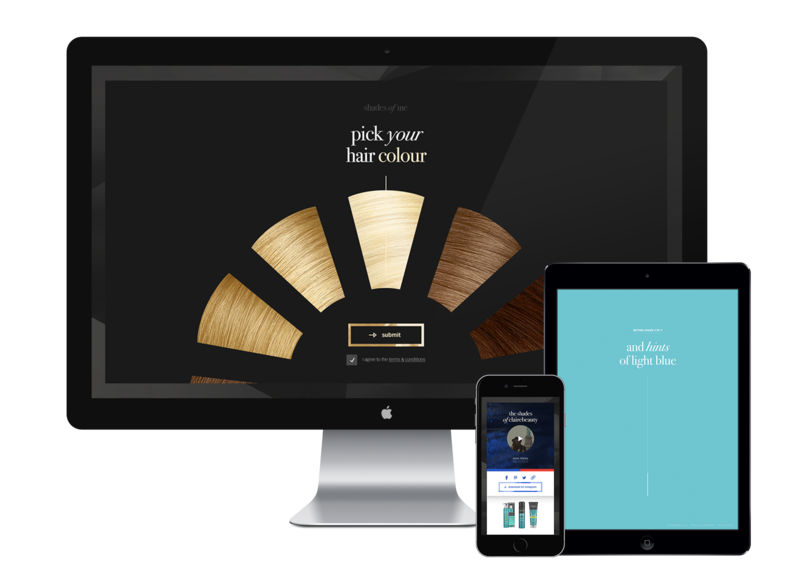 By simply selecting their hair colour and granting permission to access their Instagram or Facebook photos, users are immediately served a highly personal film, and a collection of corresponding John Frieda products. We created over 100 video closeups of lifestyle, fashion and beauty moments to bring a sense of aspiration and lifestyle to the films. These assets feature in the films as tight crops to allow the user to project themselves into the film. 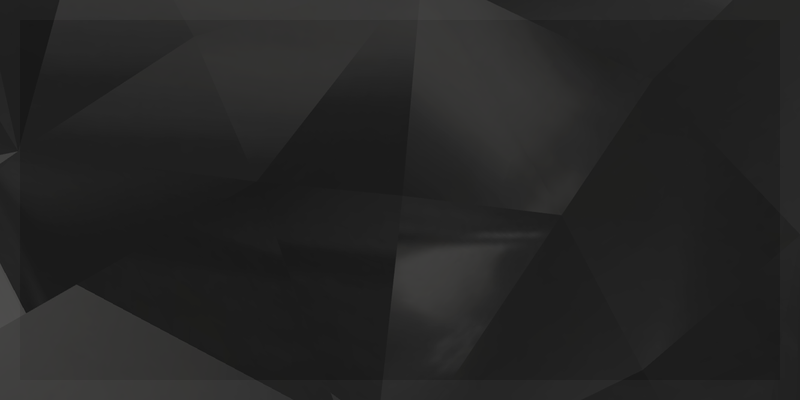 The website uses our proprietary real-time video rendering platform, RITA (Render In The Air).